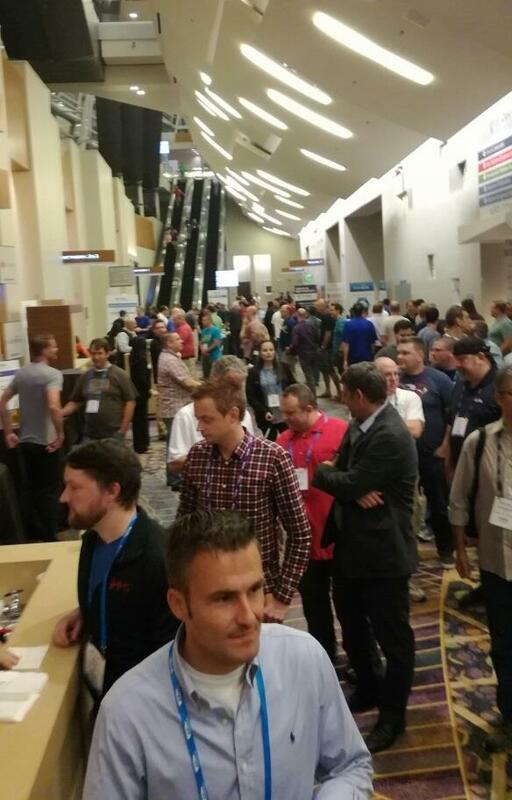 IT/Dev Connections organized by Penton Media is believed to be among a few famous IT conferences in the world that focuses on Microsoft technology but is neither organized nor supported by Microsoft. Therefore the feel of the conference is different than at Ignite or WPC. Last year I wrote a review of the 2015 edition. Today, I’d like to update it with a “slightly” different opinion. If you hold superstitious beliefs, you probably know that there is a superstition that having bananas on a fishing boat may bring bad luck. 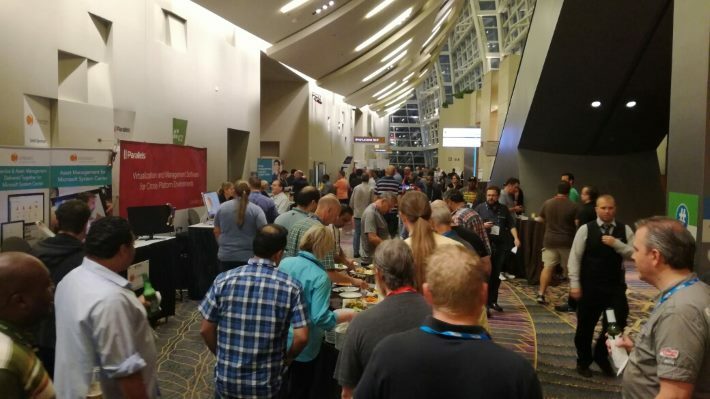 It’s pretty hard to have bananas on a boat in Vegas (as it’s pretty hard to have a boat in Vegas), but there’s a lot of hand-shaking here with Microsoft MVPs and IT Pros from all over the US (and some from Europe). And… there is a superstition in African culture not to shake hands with anyone or… your testicles (sic!) will disappear! Glad I’ve got two kids already! How about you, SuperTekBoy? Who else did I shake hands with? Paul? Michel? J. Peter? Are you guys ok now? I mean… this star in our solar system. 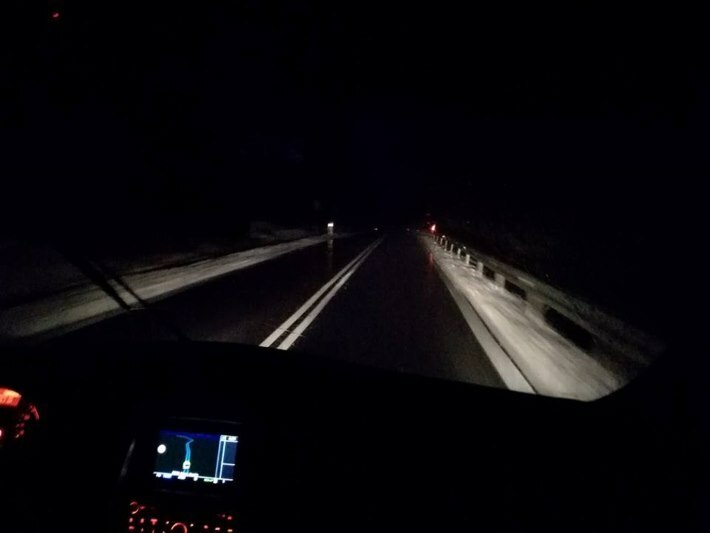 When we were leaving Poland for Las Vegas and IT/Dev Connections a few days ago, it was snowing like hell and it was 1 degree centigrade (I don’t know the Fahrenheit equivalent, as there was no information available on the Imperial system when I was in grade school). 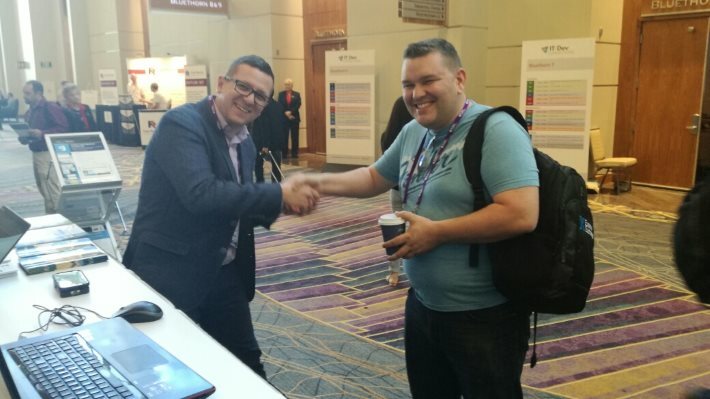 IT/Dev Connections is all about networking .There is no way to avoid that. You have to do this everywhere. In the lobby, in the bathroom, on the escalator (check out this video, but keep in mind it will be someone else touching you). If you don’t like this or your social skills are as bad as mine, don’t attend this conference. IT Pros don’t like marketing in general. That’s why at IT/Dev Connections there is no mind control, no blathering on about how this new feature will “take your business to the next level”. It’s life. It’s challenges problems! And first and foremost – there are answers and solutions here! If you like prison food, it’s too bad. There’s no way to get it here. No long lines, no shouting staff, no food boxes and artificial ingredients. You have to eat sirloin, fresh vegetables and drink Blue Moon Belgian White. Disgusting! I wanted to come up with a smart summary, but I’m still too jet-lagged. 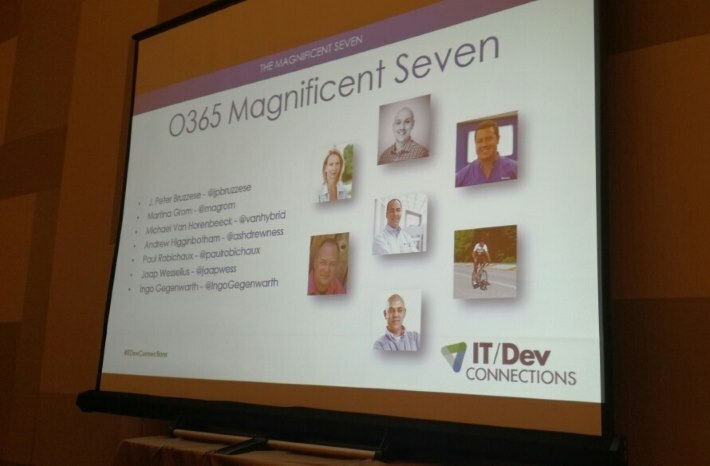 It’s good to know that the 2017 edition of IT/Dev Connections is in San Francisco. It’s even a longer flight from Poland… and I will be forced to see the Golden Gate for the very first time. And please excuse the quality of the pictures – it took them with a mobile vacuum cleaner.